Moving to Lee, SE12 | High Quality Services - Call Us Today! Moving to a new home is a big step in life. It will change your life for a completely different one as you hope to improve things. You may be able to save money, increase your space, improve your surroundings and much more with the relocation. Office removals can be a great venture for your firm as you can alter things for the better. The additional space, enhanced facilities and more convenient spot can help your business succeed. A student removal will allow you to be closer to your place of study, as well as in an exciting new location where you can do new things and meet new people. Apart from all these advantages, a move can be tough, so if you want to make things manageable then call Moving Service on 020 8746 4402 for expert removal in Lee, SE12. 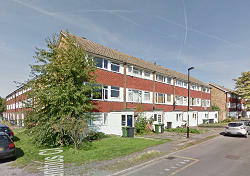 The area is also known as Lee Green and is in the South East London. It is in the Boroughs of Lewisham and Greenwich. It uses SE12, SE13 and SE6 postcode areas, which are close to SE4, SE23, SE26, SE8, SE10, SE3, SE9, BR1 and BR3. Nearby places to the area are Horn Park, New Eltham, Blackheath, Kidbrooke, Hither Green, Eltham, Grove Park, Lewisham, Catford and Mottingham. St Margaret’s Church is the oldest building in the area, with its construction being completed in 1841. It acts as the burial place for Edmond Halley, Nathaniel Bliss and John Pond, who were all former Royal Astronomers. The manor of the area existed up until 1900 when it fused with the Parish of Lewisham. The area was formerly centered on Lee High road but now focuses on Lee railway station. The River Quaggy runs through the district. The area was referred to in the Domesday Book as a woodland region. Public houses played an important role in town’s history. Many famous people have lived in the area. Lee alumnus include Sir Francis Baring, Ernest Dowson, James Robertson justice, Jude Law, Karl Marx, Eric Clapton, John Penn, Reggie Schwarz, Arthur Smith, and Estelle Windwood. Tackling your removals process is a complicated task. You have to engage in many tasks so that things go smoothly. You have to plan the process out thoroughly, obtain packing materials and more. Items have to be wrapped and boxed carefully. You will need a suitable moving van for the process and you will have to carry many large goods. This process becomes simple with our help. Our moving company in Lee, SE12 can assist with every aspect of the move, starting with giving useful information. Over the phone, we can give you a piece of advice on what you need to do, what services and equipment will be necessary, how long things can take, etc. Our removals services are flexible and will see to every aspect of the chore. You can book us to do the entire move for you, or to just help with one or two aspects. Our movers can come to your address whenever you need them. They will be capable of packing goods for you and of providing all necessary boxes and wrapping. Our team is strong enough to safely carry goods in and out of both your new and old address, so you don’t have to lift a thing. Our man with van hire allows us to swiftly get your things to your new address securely. All of this is what Moving Service can do for you, so call us now on 020 8746 4402 and we can guarantee simple and successful removal.